You’re out to dinner with a friend. The food arrives, beautifully presented. You look over your choices, inhaling the delicious aroma, consciously deciding which item on your plate you’d like to taste first. You choose the grilled salmon with avocado soy drizzle, cut off a bite sized piece and take your first taste. You savor the saltiness of the sauce, admire the perfectly grilled outer crunch, and enjoy delicate tender inner flesh that melts in your mouth. You follow that bite with a sip of chilled white wine that perfectly compliments the dish. Next, you look forward to a taste of the grilled asparagus with a dip into your garlic mashed potatoes. You’re relaxed, thoroughly enjoying the entire experience. Heaven. . . Meanwhile, you look across the table only to notice that your dinner companion is already half way through their entire plate of food before you’ve even finished your second bite. This is a common problem in today’s fast-paced stressed-out society. And there’s a very official scientific term used to describe it: Inhaling Your Food. And it has to stop. Here’s why. . .
You have 2 branches to your nervous system, the Sympathetic and the Parasympathetic. The Sympathetic Nervous System is what kicks in when you are under attack, much like being chased by a bear. Or, in our modern day since we don’t have many bears running after us, having to slam on the breaks when traffic on the freeway suddenly and unexpectedly comes to a quick stop. When this happens, our body goes into Fight-or-Flight mode, which sends all of our blood to our extremities and brain so we can make quick decisions and run really fast to get away. 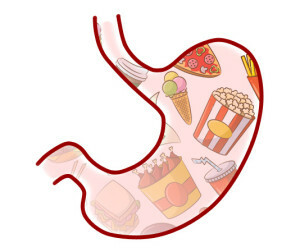 As a result, blood is pulled away from the stomach, digestion slows, and adrenaline pumps, killing your appetite. That being said, the opposite is true of the nice, relaxed Rest-and-Digest state of Parasympathetic mode. This is where blood flows to the gastrointestinal tract for proper digestion of your food (among other things). I don’t have an actual statistic for this, but I’m going to bet that at least half of all digestive disorders could be eliminated if people would just s-l-o-w down and CHEW their food. It sounds way to easy, right? But if you eat too fast, you’re already tuned up in the Sympathetic and you’re swallowing your food semi-whole, putting excess stress on your already stressed digestive system. There’s something to be said about saying grace before a meal. Aside from your spiritual beliefs and practices, taking a moment to close your eyes, focus on the gratitude you have for your food, and letting go of the stress of your day will prepare your body to receive the meal. This shift into a more Parasympathetic dominant state will do wonders for your digestion. Also, consciously taste and savor your food as you eat it. Not only will your digestion improve, but you’ll enjoy your food more too. Digestion actually begins in the mouth. Chewing not only breaks down food into a liquid state, making it easier to digest, but it mixes the food with enzymes that are in your saliva to further degrade the food and prepare it for the assimilation of nutrients. I like to tell people, “It’s not a race.” The objective isn’t to shovel as much food into your mouth and chew it only enough to where it won’t choke you on the way down. Or swallow it as close-to-whole as possible in order to finish the meal quickly so you can check it off your list. It’s recommended to chew each bite 30-40 times before swallowing. But get this, the average number of times people chew a bite of food is only 8. That means people are potentially swallowing food that is 80% un-chewed. When large, un-chewed food particles enter the stomach, they remain undigested when they hit the small intestine. Teeny tiny bacteria have to work really hard to break it down and do the job your teeth were supposed to do. 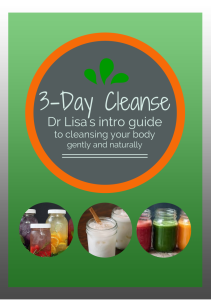 Now, since it will take a LOT longer for your food to digest, it actually begins to putrefy and ferment in your gut, leading to gas, bloating, distention, pain and discomfort, constipation or diarrhea, among other digestive issues. The other thing that happens when you eat too quickly is you tend to swallow a lot of air. Once that air in in your stomach, it either has to come up by belching, or wait until it passes all the way through your system and comes out the other end. So practice your chewing, counting to 30 as you do with each bite. Yes, it will drive you crazy at first, but you should soon see some improvement. Just go to any restaurant or dinner table and see how many people are on their phones, iPads, or even watching TV while they eat. Electronics induce stimulation to the brain and the Sympathetic Nervous System. It takes the focus off eating, so people tend to check out, not paying any attention to how well they chew their food or how much they’ve eaten. They’re like robots and zombies, simply completing a task. If you were to do these 3 things: Slow down, chew your food, and “just eat” when it’s time to eat, it’s possible that that alone would improve your digestion. Try it out and let me know what results you get in the comments below.